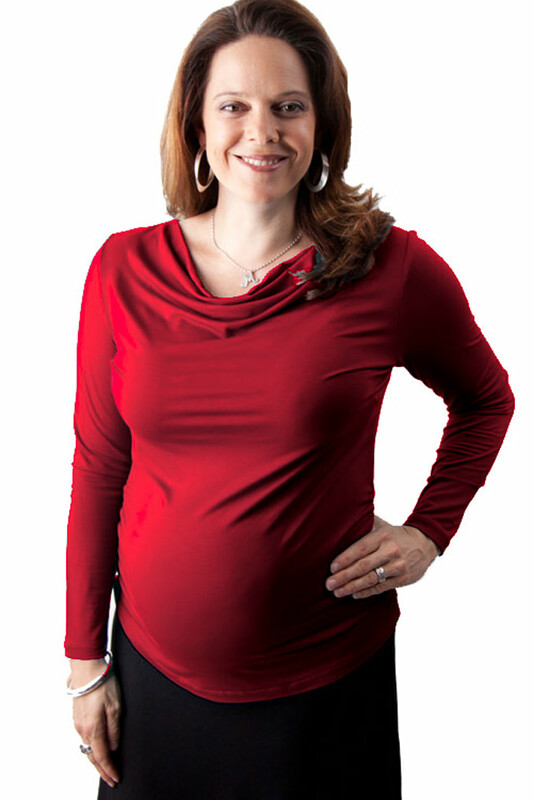 Looking Stylish and feeling comfortable is what you expect when buying a maternity top. Maternitywear has an extensive range of casual maternity tops, casual tops and blouses, breastfeeding tops, nursing camis, and elegant evening tops you will find the right top for the occasion. During your confinement going to work provides a daily challenge to look professional and maintain an appearance necessary to your position we offer a range of smart work tops, shirts and blouses at prices that will suit your budget. Social activities will mean you need a casual maternity top to style up with Jeans, casual pants, skirts and shorts. Our extensive range of casual maternity tops provides flexibility to look really smart whether you’re just going shopping at the supermarket or a barbeque with friends. For the warmer seasons a maternity sleeveless singlet or a short sleeve casual maternity top, maternity tee and for the cooler months there’s a selection of ¾ sleeve and long sleeve tops. Many of our maternity tops are suitable for breastfeeding which will provide you with added value as you can wear the maternity top during the pregnancy and continued wear after the birth; we also offer nursing tank tops and camis also suitable for nursing.